Welcome to paradise. On board Salacia, the afternoon sun wraps us in soft, warm, hazy light, perfect for a relaxing afternoon. No beach bars in sight, no other boats, no barbecue smoke mixed with braindead party beats. Only pure quiet nature. 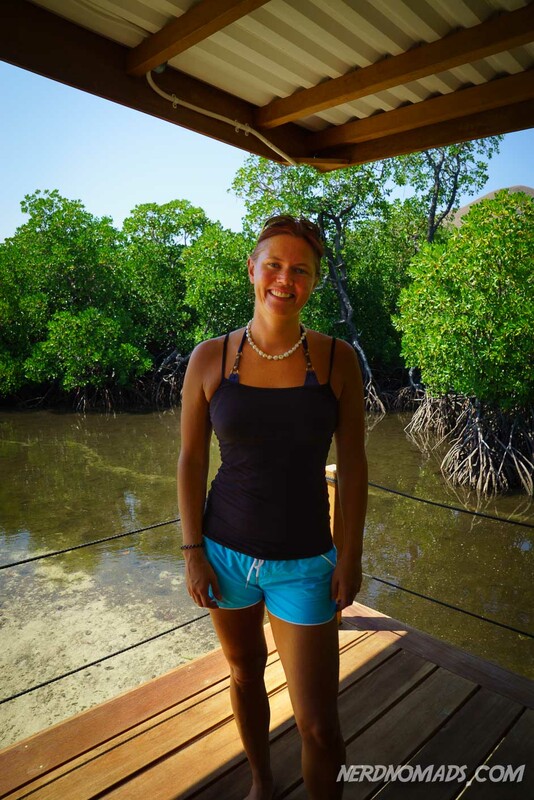 The only sound I can hear, laying on the soft mattress on Salacia’s front deck is the soft constant hum from the engine and the waves lapping against the side of the wooden boat as it glides through the turquoise water. I close my eyes and feel the afternoon sun warm my face, thinking that nothing can beat this feeling and this moment. It is a dream come true. We are in the middle of the ocean in Komodo National Park, and the rest of the world is just a distant memory. 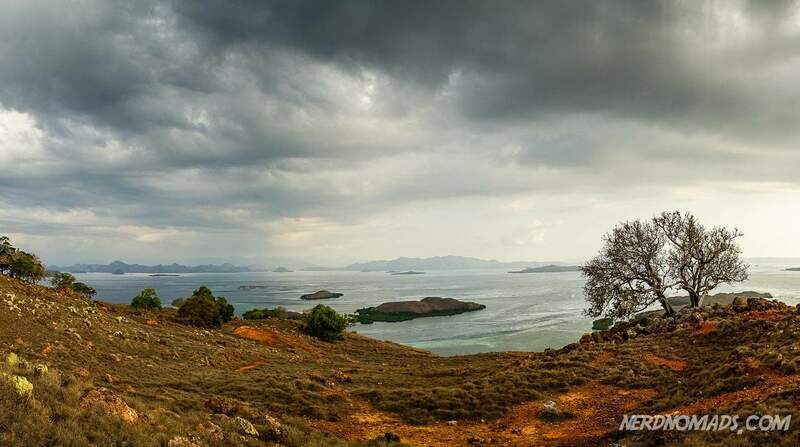 Komodo National Park, nestled between the islands of Flores and Sumbawa in Indonesia, is home to the legendary Komodo Dragon – the largest lizard in the world. It has been on our travel bucket list for a long time. 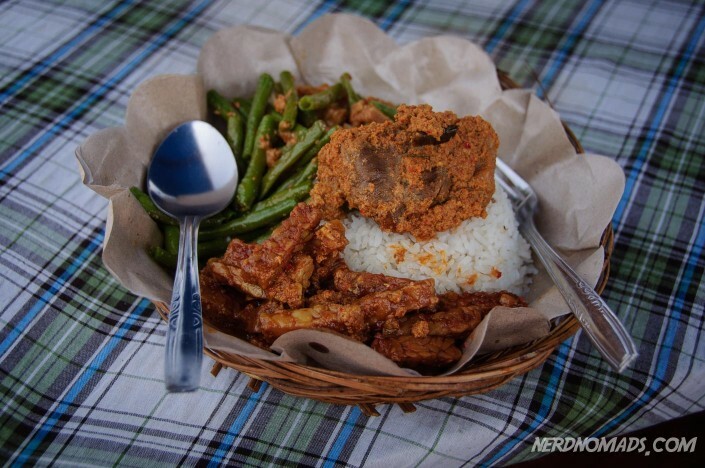 Ever since we first visited Bali and Indonesia back in 2005, has this national park been in the back of our minds. 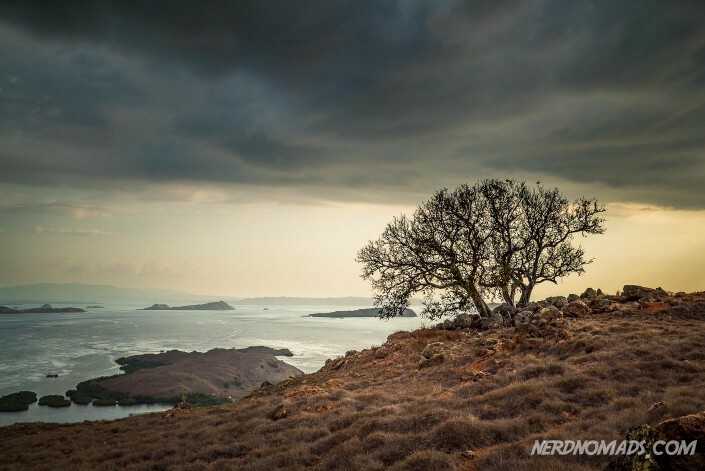 Komodo was established as a national park in 1980, then later declared as one of the New Seven Wonders of Nature and made a Unesco`s World Heritage site. Not only is it the only place in the world where the Komodo dragon lives in the wild, but it is also one of the richest marine ecosystems left on earth with it`s 1817 km² of pristine, untouched nature. The snorkelling and scuba diving is amazing. With no tour booked, we boarded our plane from Bali to Flores. 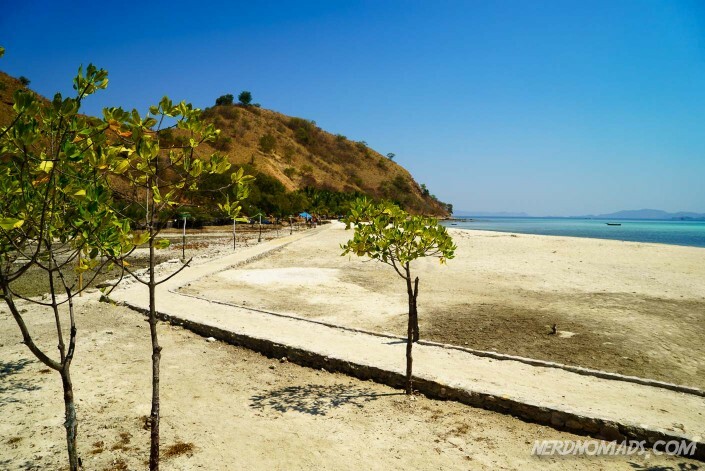 As soon as we landed, we discover that there is no lack of tour operators in the small village of Labuan Bajo. Along main street tour and diving companies selling exploration tours and diving trips to the national park lie like pearls on a string. We walked door to door and visited most of them. 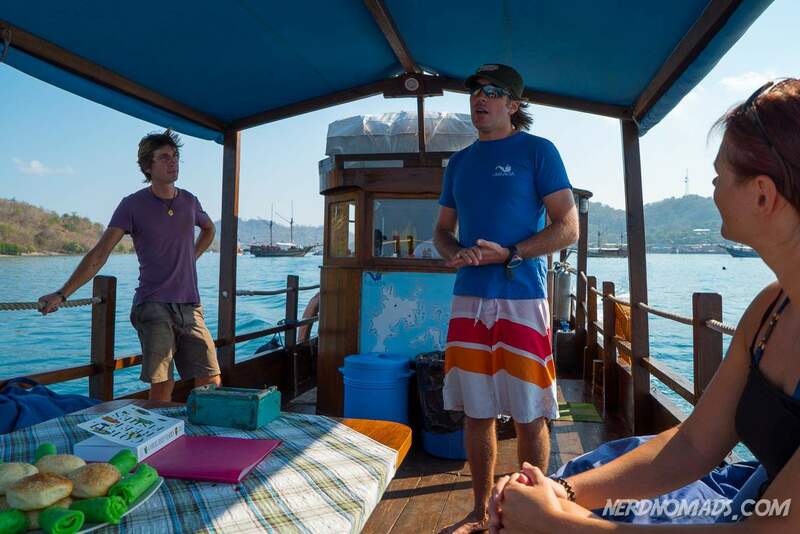 We compared prices, looked at pictures of their boats and enquired what their Komodo National Park tour included. 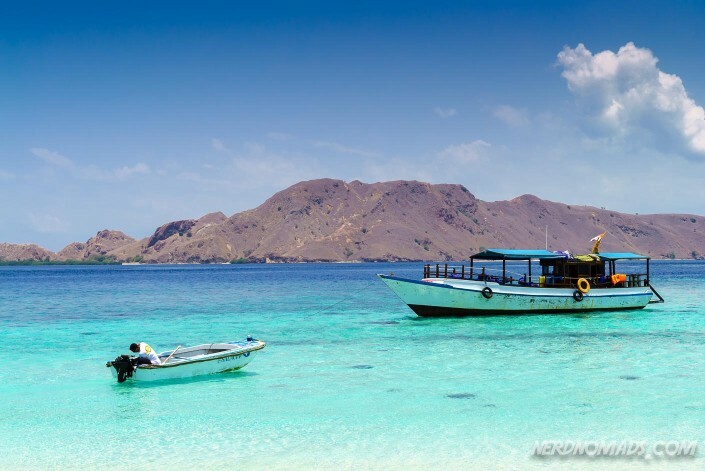 While you can make a day trip to the Komodo national park, most Komodo National Park tours are two or three days, with one or two nights sleeping on the deck of the boat. 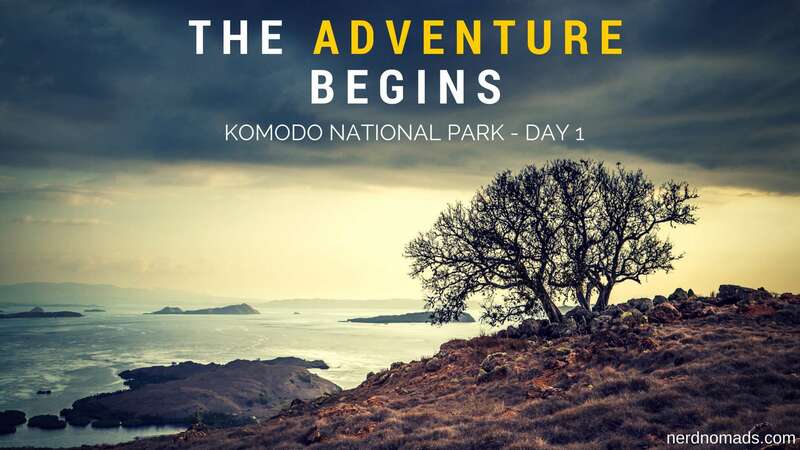 All trips go ashore on either Rinca Island or Komodo Island, or both, to see the Komodo dragons. 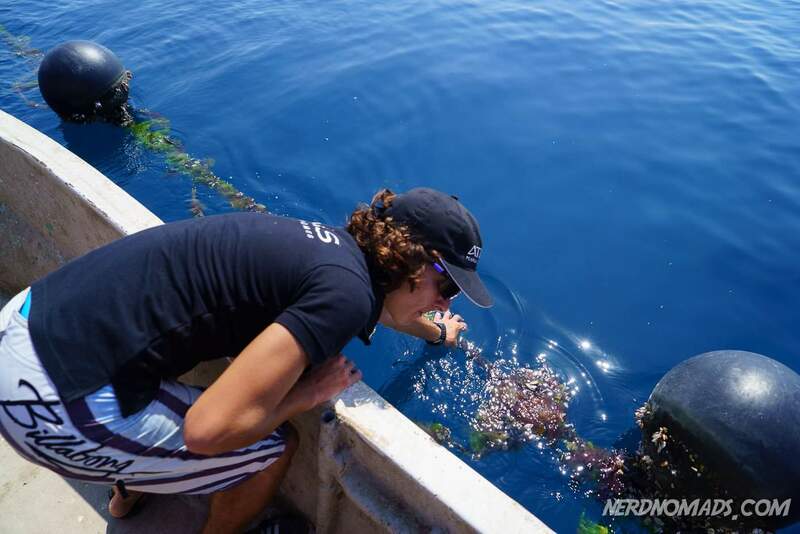 Some tours include snorkeling. Standard varies wildly from inexpensive tours on large boats packed with tourists, to small exclusive tours designed for a handful of people. 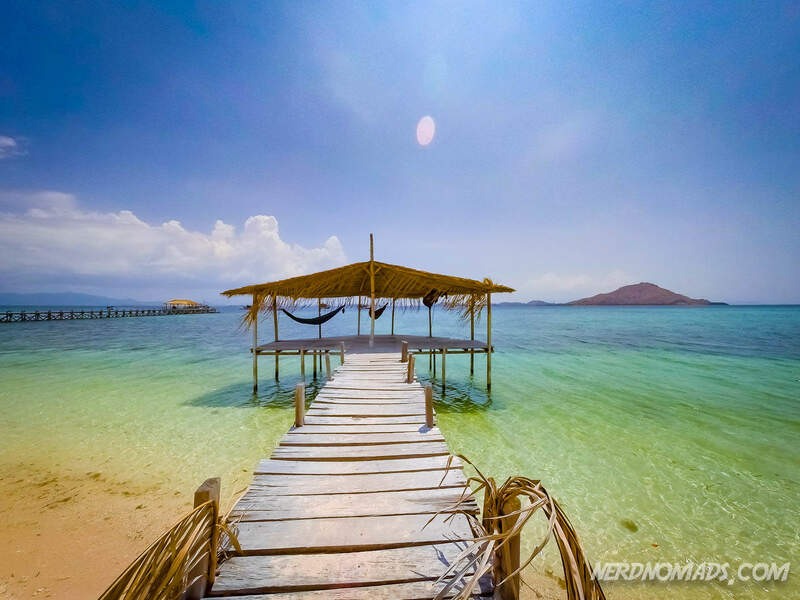 Komodo is often mentioned as one of the top 10 diving destinations in the world, because of it’s amazing wildlife and clear water. 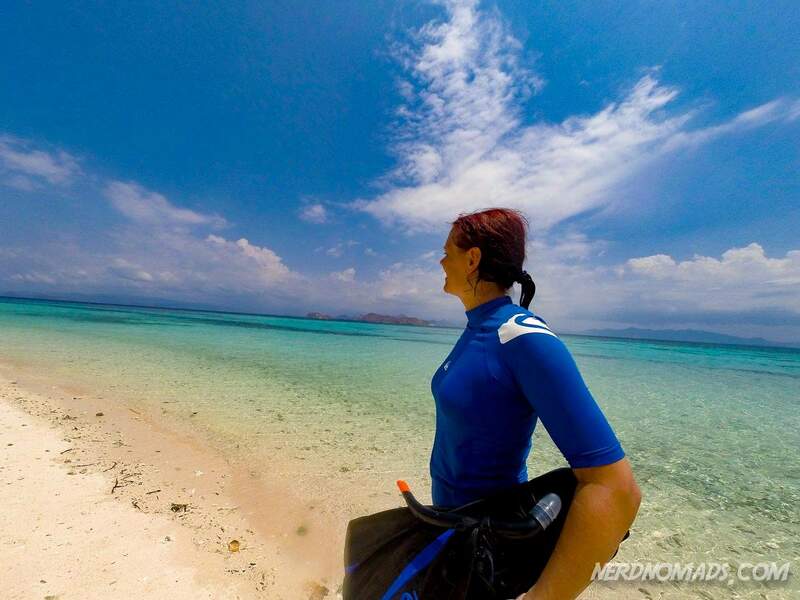 There are plenty of diving tours available for most skill levels and budgets, although diving in Komodo is not ideal for inexperienced divers due to some tricky currents. 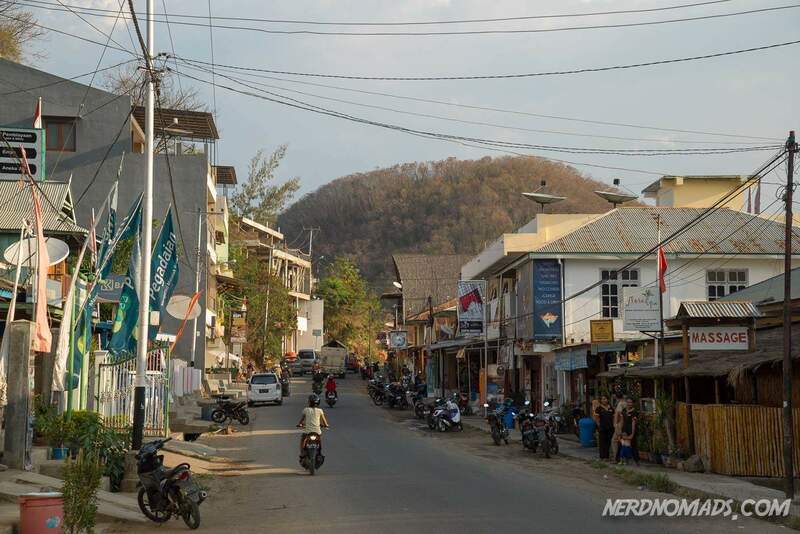 Walking along Labuan Bajo’s main road, it was challenging to choose between the overwhelming options and to be honest we felt a bit lost. 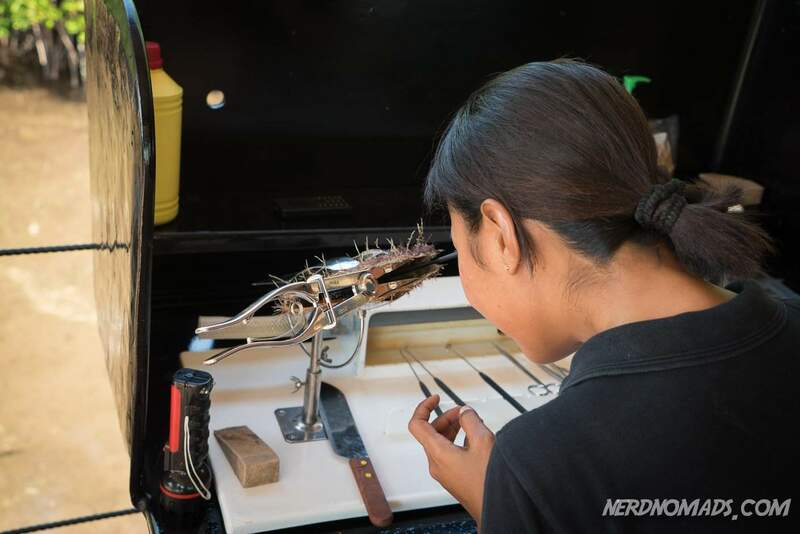 Then we walked into a small office that just seemed a little different. 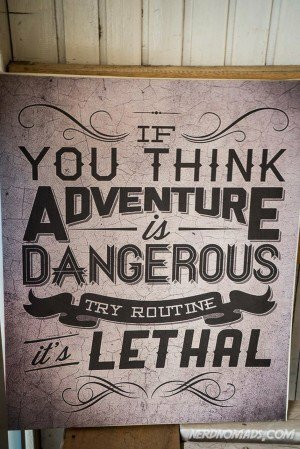 And when we saw this quote on their wall, we were sold. This is our kind of tour company – Flores XP Adventures. 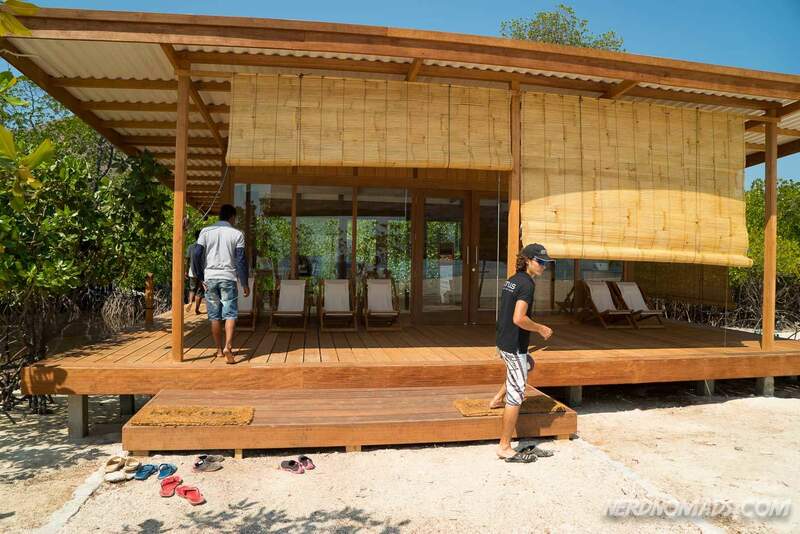 They are the only company doing Komodo tours where you sleep on shore in tents instead of on the boat. 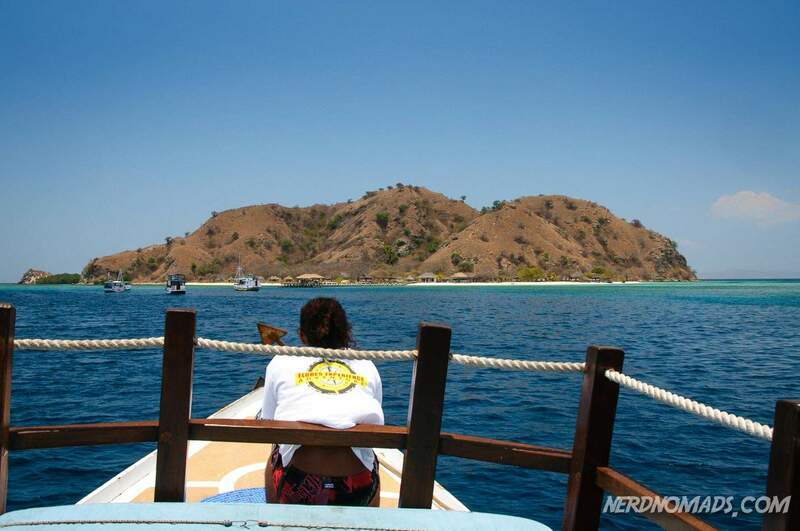 We loved their attitude, the look of their boat, and the fact that their groups are small, and we were quickly sold on their three day Komodo tour. 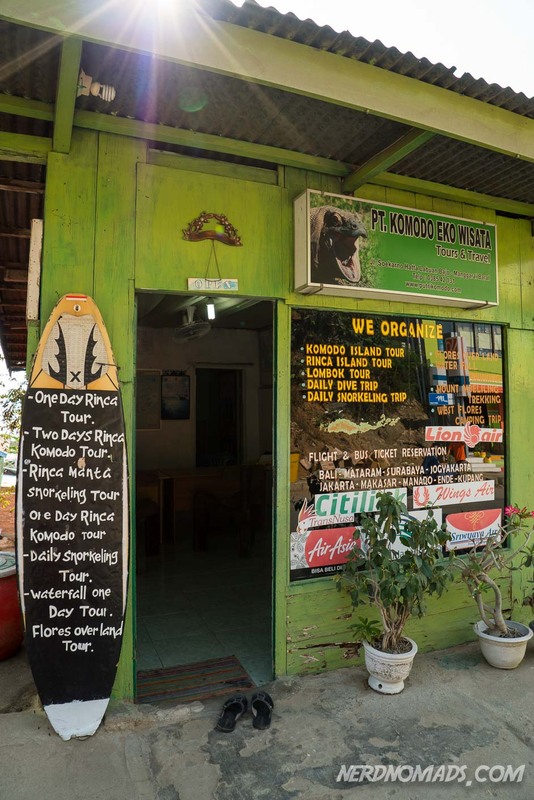 Unfortunately, their tours were, as most of the better tours operators we met, fully booked and we had to wait for almost a week before we could depart on our Komodo park adventure. Thankfully it would be well worth the wait! 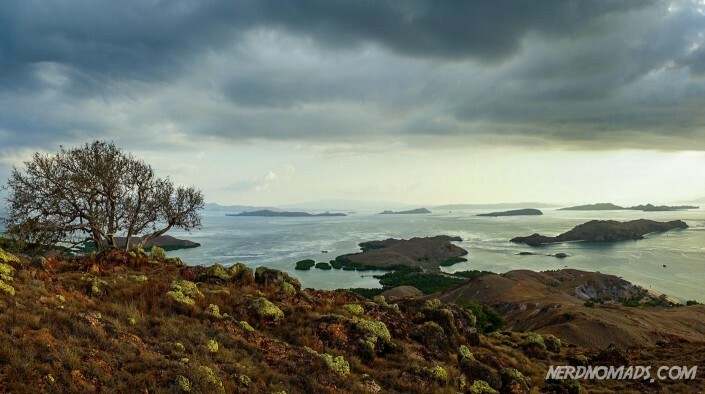 With Komodo’s popularity on the rise, we recommend that you book your tour in advance before you arrive in Flores unless you are willing to take just about any trip, or have plenty of time to wait around Labuan Bajo. 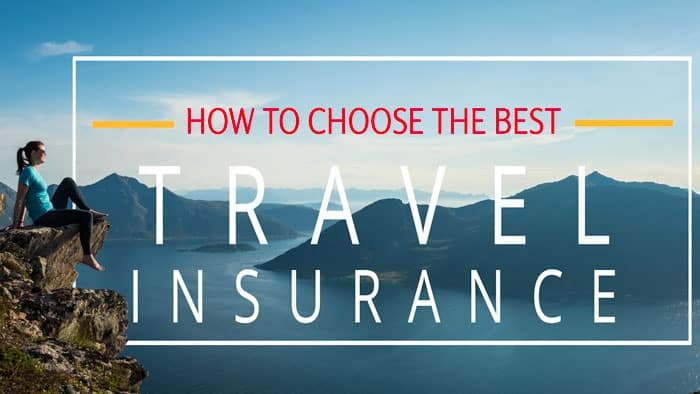 To book a trip online, you can either contact the individual tour operators or book through a third party travel agent such as Viator that sells a selection of the more established tours. 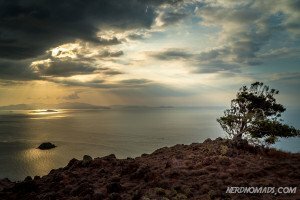 Viator has tours for most budgets, from short day trips to multi-day excursions, including the excellent three-day tour we went on with Flores XP Adventures. We got picked up at our hotel at 7:30 in the morning, all excited and geared up for our dragon adventure. In the car we met the other couple that was going to be our tour companions on this tour; Detlef and Gerdien from the Netherlands. They turned out to be the perfect tour companions, and some real adventurous people who have been to a lot of exciting places all over the world. We connected immediately. Well onboard we were served coconut pancakes and bread for breakfast, while our Italian tour guides Max and Alex explained what was ahead of us during these three days. Max is also the owner of the tour company Flores XP, and a dive master. Both of them are awesome tour guides and great people. We could not have been more lucky! 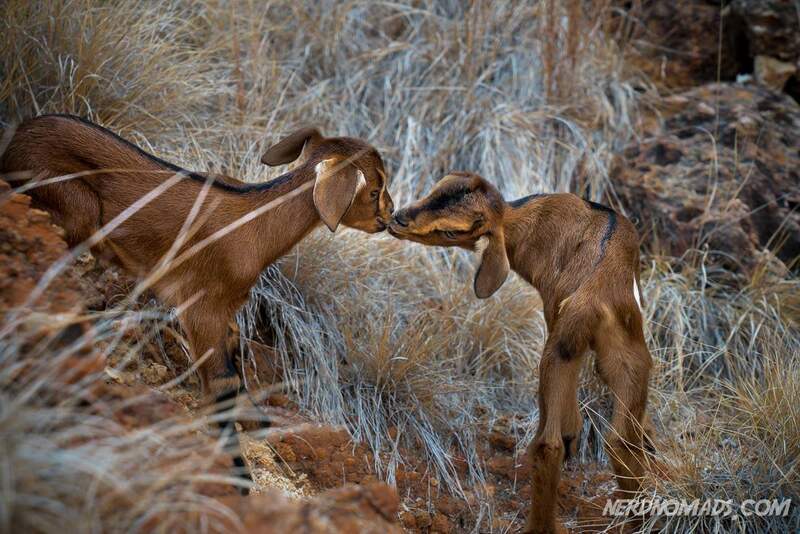 We were certain we had picked the right tour company. Our excellent Italian tour guides Alex and Max from the tour company Flores XP. Max is also the owner of the company. Relaxing on board Salacia with our new friends from Italy and the Netherlands. Awesome folks! The first stop on our Dragon Tour was Punggu Island, a small island encircled by white beaches and turquoise water. Punggu Island with Atlas Pearl Farm. 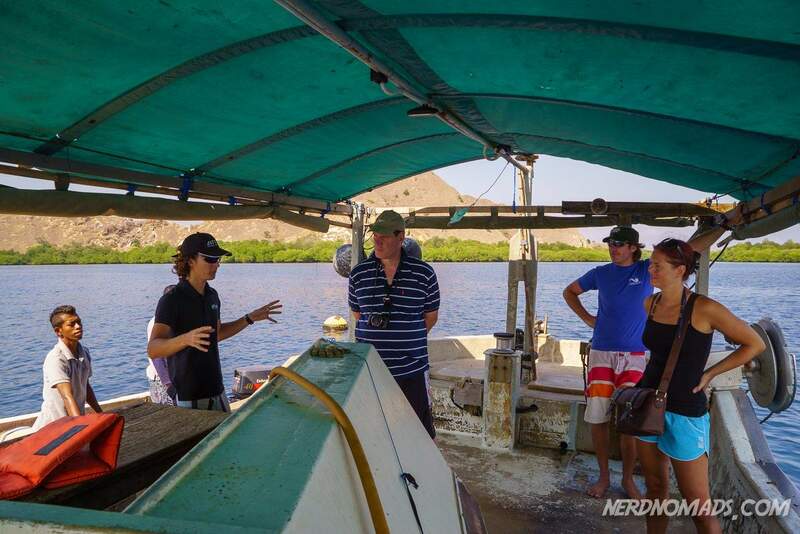 We got picked up by a small boat and went ashore where we met a guy from Atlas Pearl Farm. 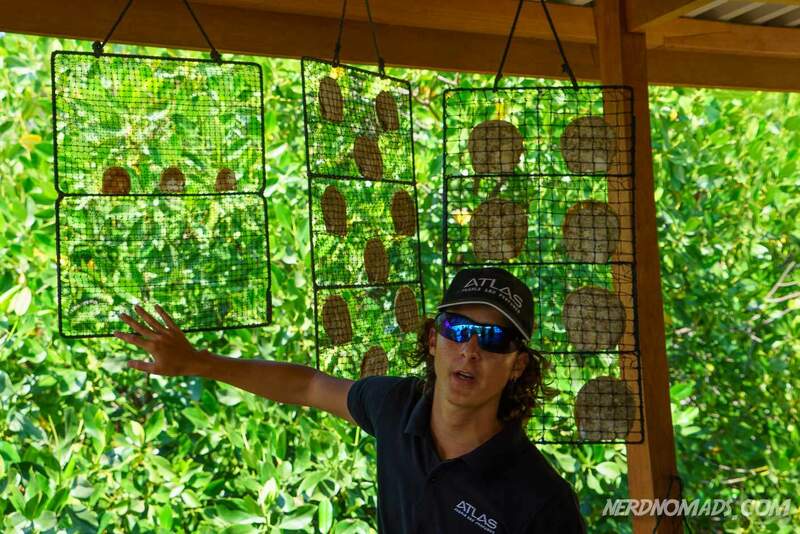 He took us around the farm and explained all about the production and the growing of pearls. 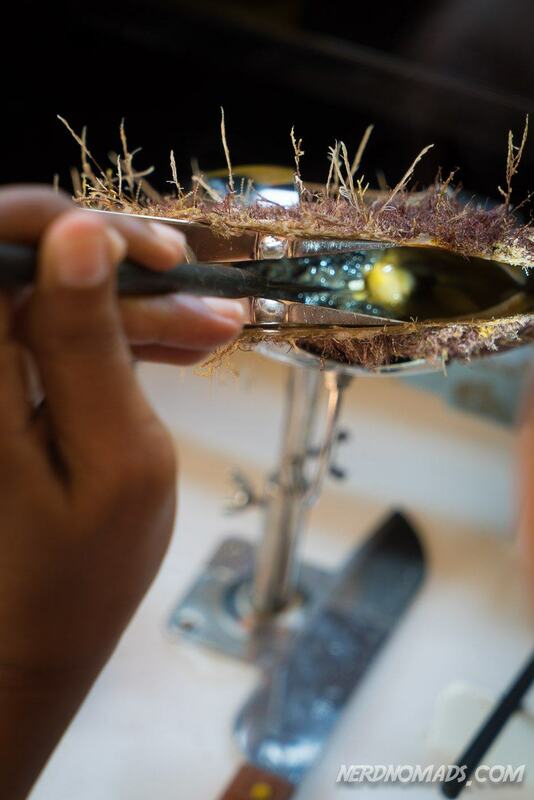 Did you know that it takes about four years from you put the seed inside the clam before it is a big white pearl? 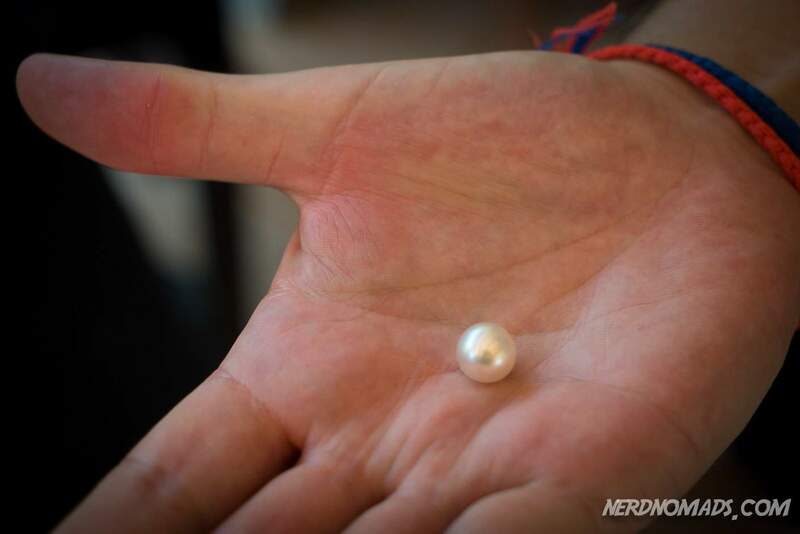 It was really interesting learning about the pearl process. 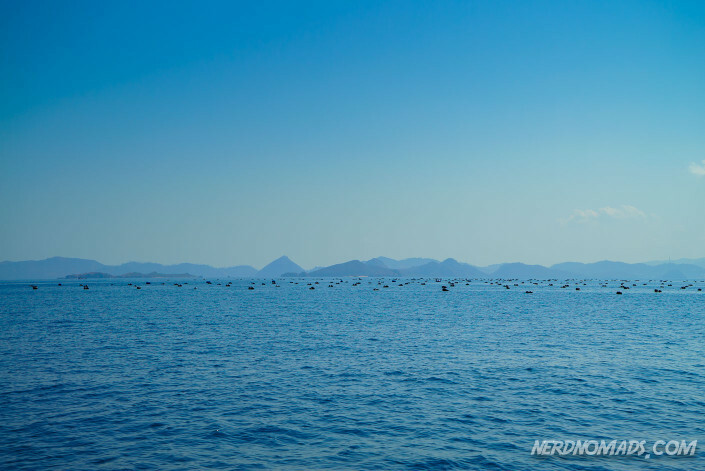 The ocean outside of Penggu Island is packed with black balloons anchoring up the pearl clams. There are lots and lots of pearl clams hanging from each of these black balloons. 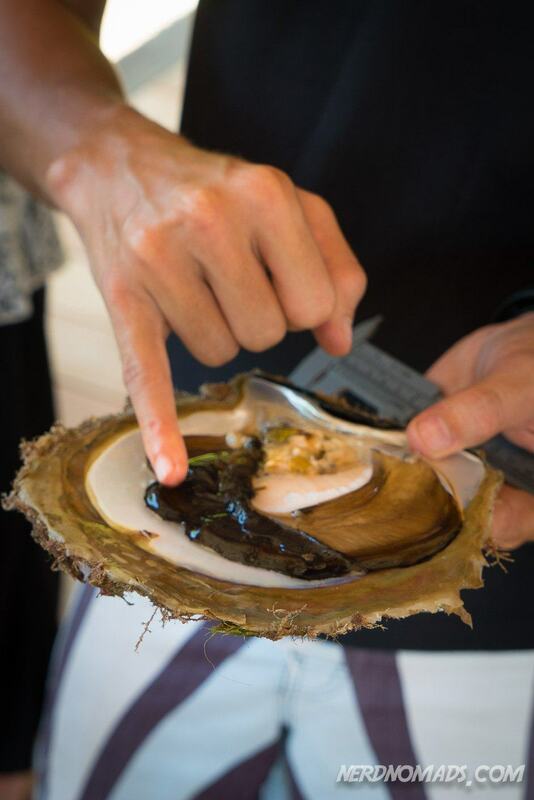 We also went ashore where we got to visit the factory where they extract the pearls from the clams. 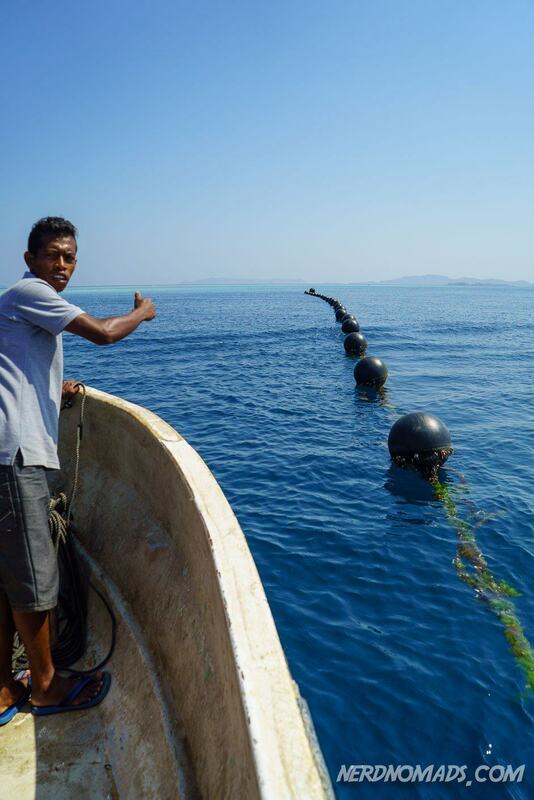 Welcome to Atlas Pearl Farm. 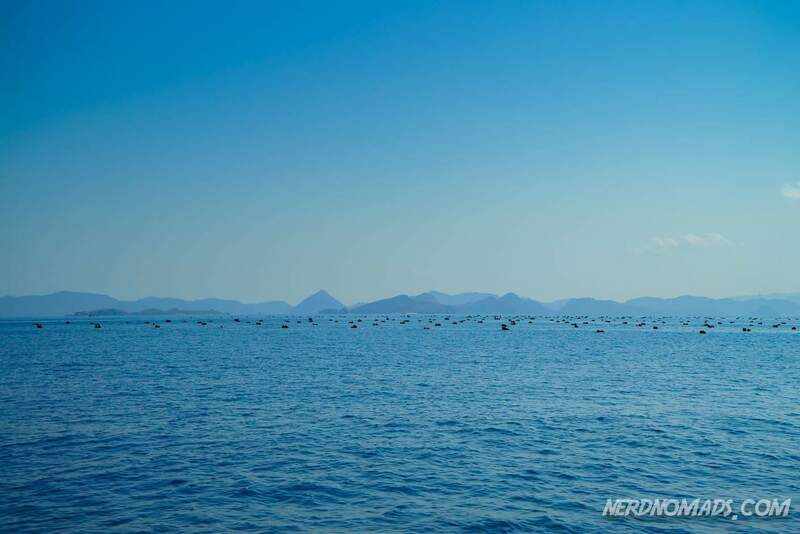 Atlas Pearl Farm on Penggu Island. 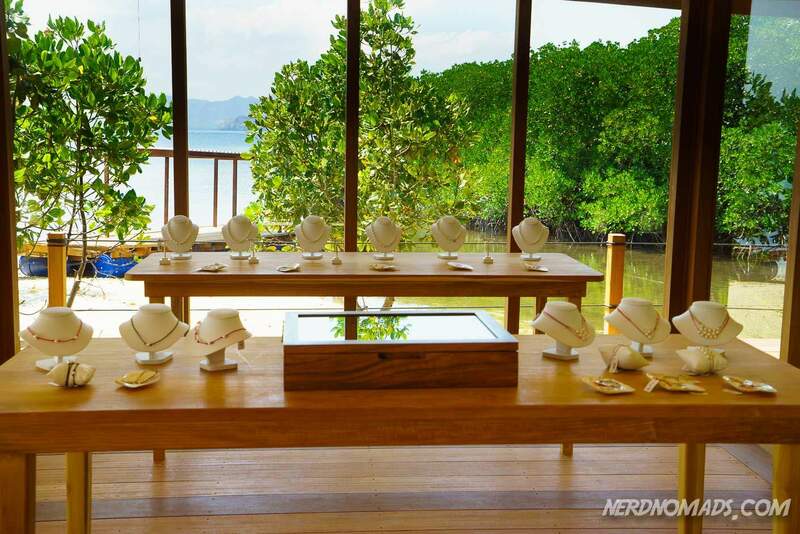 And finally the best part – The showroom and shop of Atlas` pearl products. 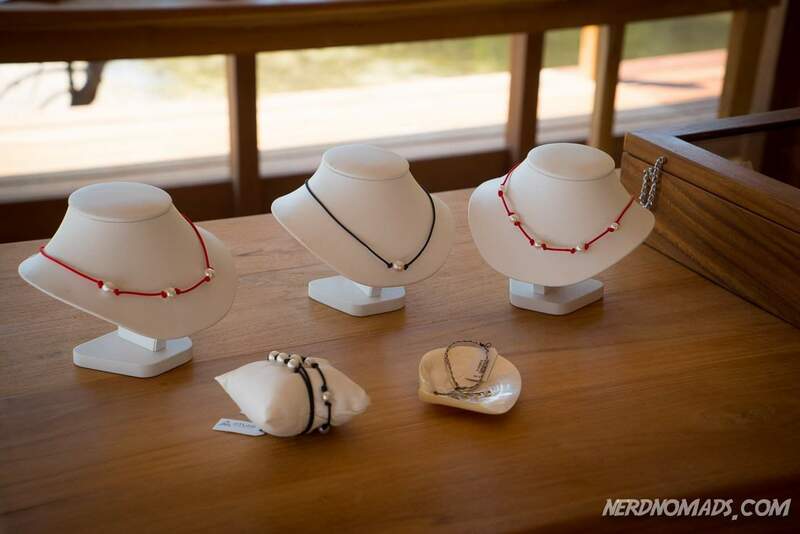 Oh boy, I wanted to buy it all….. 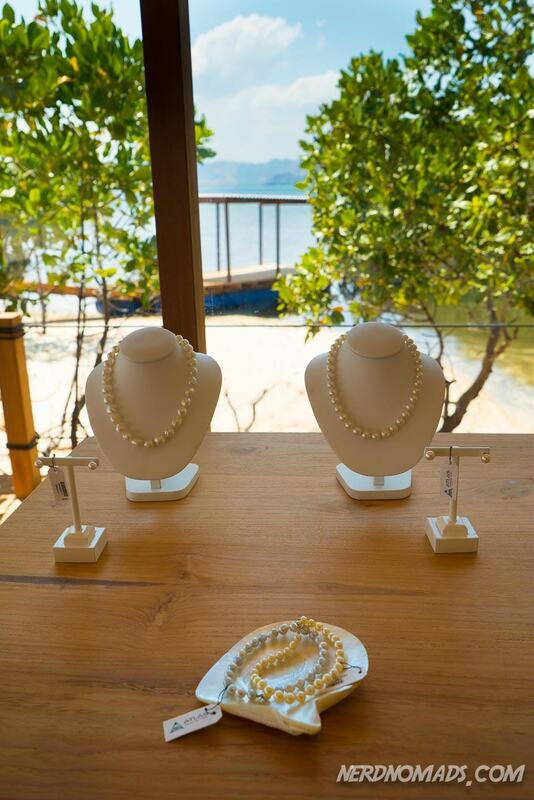 I ♥ Pearls! After the pearl temptation (No, I did unfortunately not have the money to buy that expensive neckless…. 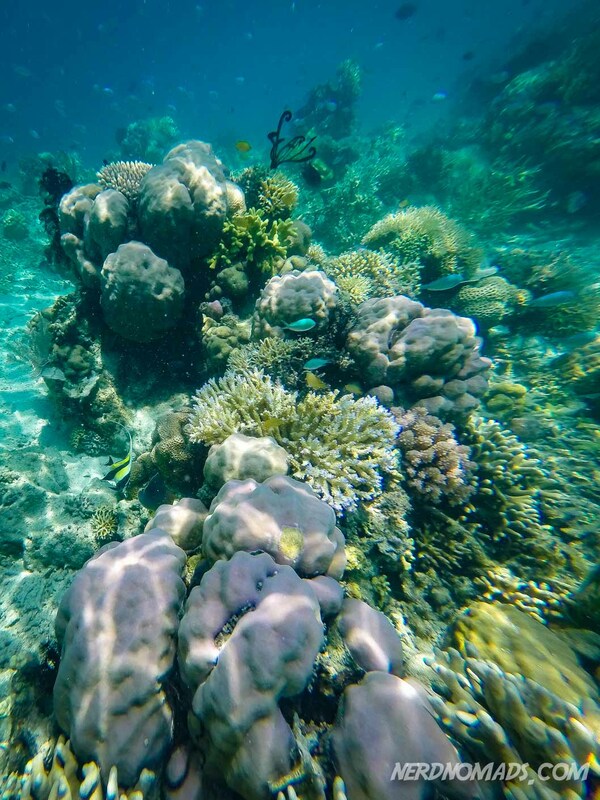 ), it was time for some snorkelling in the turquoise, fresh, salt and perfectly temperated water. Iiiihaaaaa! Me snorkelling over the coral reefs outside of Penggu Island. Back onboard Salacia, it was time for some delicious lunch. We had our own chef onboard, constantly bringing us food, water, tea/coffee and snacks. Ah, I could get used to that! We were totally spoilt, and we loved it. 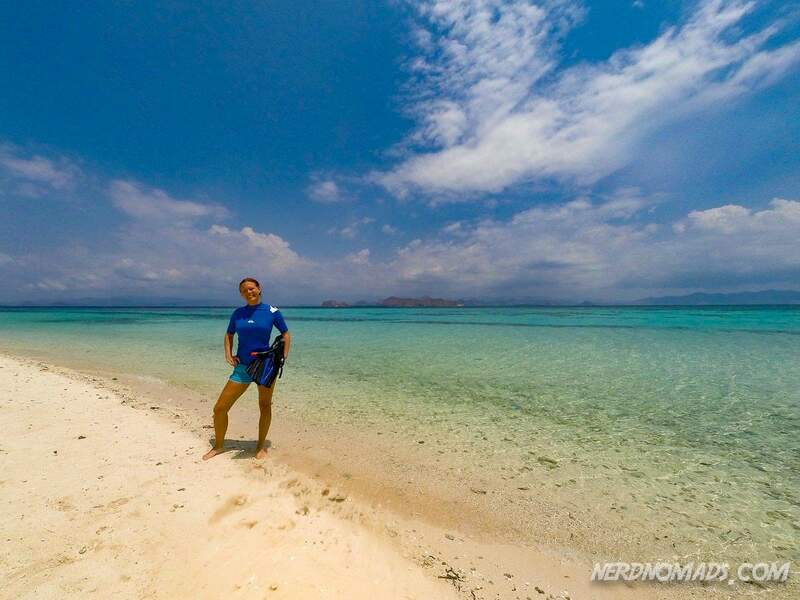 Next up was Kanawa island for some more marvellous snorkelling. 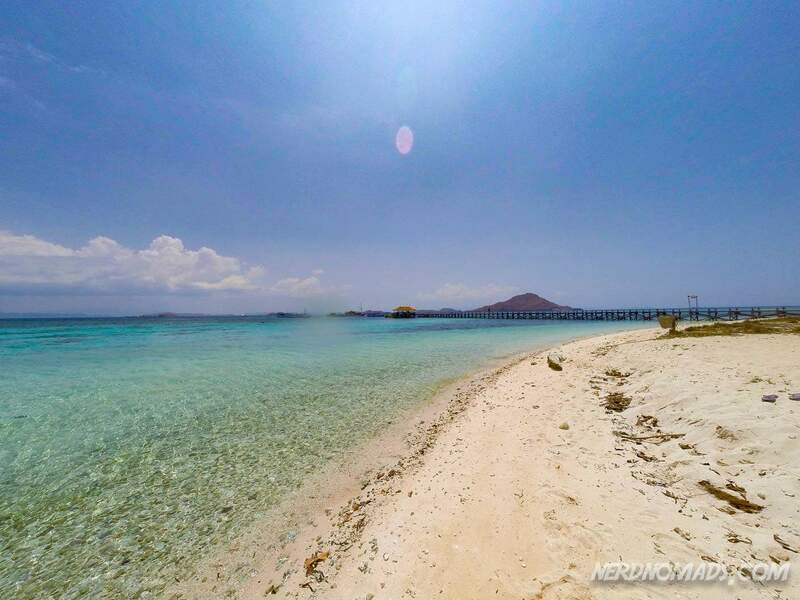 Oh boy, Kanawa island with it`s pristine white beach and crystal clear turquoise water is as near paradise as it is possible to come. Check this out – Don`t you just wish you were there right now?! I sure do! Kanawa Island actually has some bungalows where it is possible to stay. 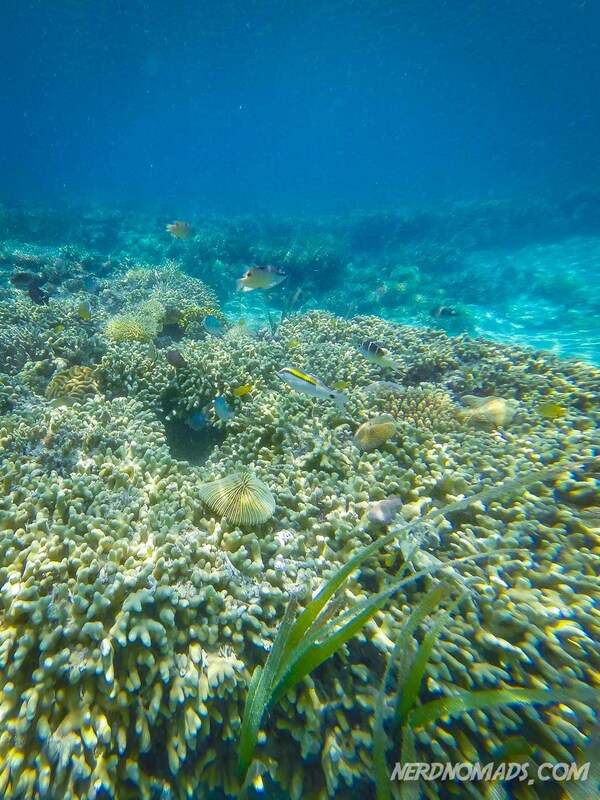 The snorkelling outside of Kanawa Island was brilliant. It may sound stupid, but one actually gets pretty tired and worn out from snorkelling for several hours. So I jumped of joy discovering an empty hammock out in a sea hut. It just had my name written on it. 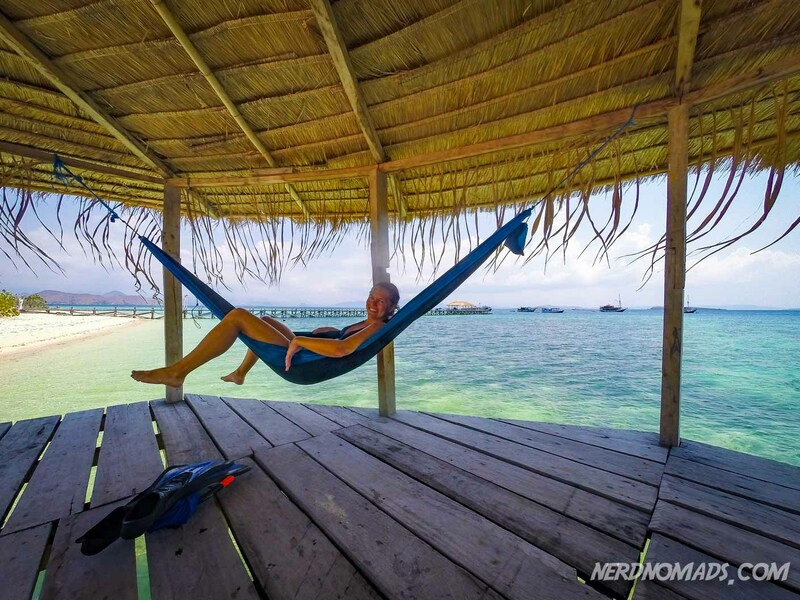 Yeah, it is a hard life…..
A hut out in the water with a hammock. I mean, can it get any better?! Our guide Max basically had to drag us out of the hammock and off Kanawa Island. We fell totally in love with it, and could have stayed there forever. 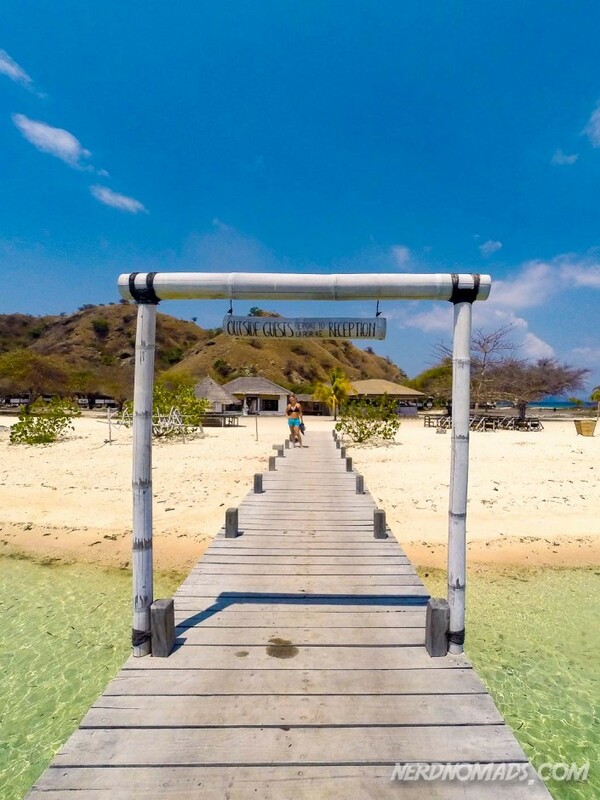 But it was time to head over to another paradise island that was going to be our home for the next two days – Sebayur Island. 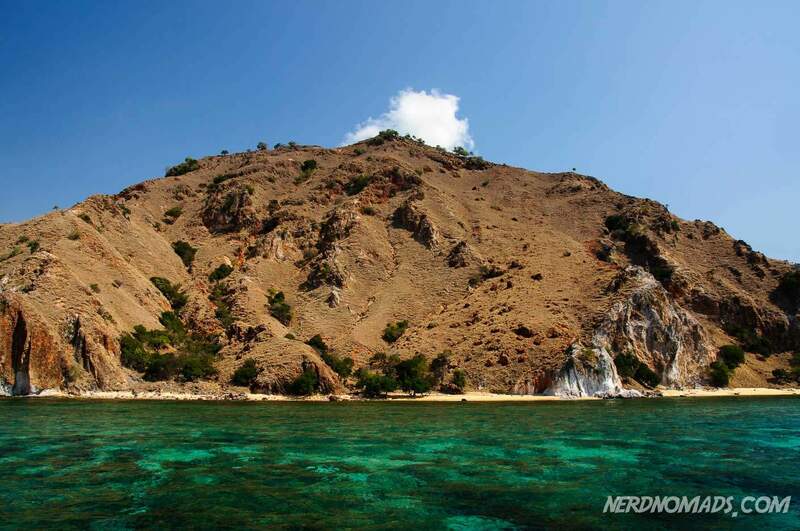 It turned out to be nothing less of an paradise than Kanawa. 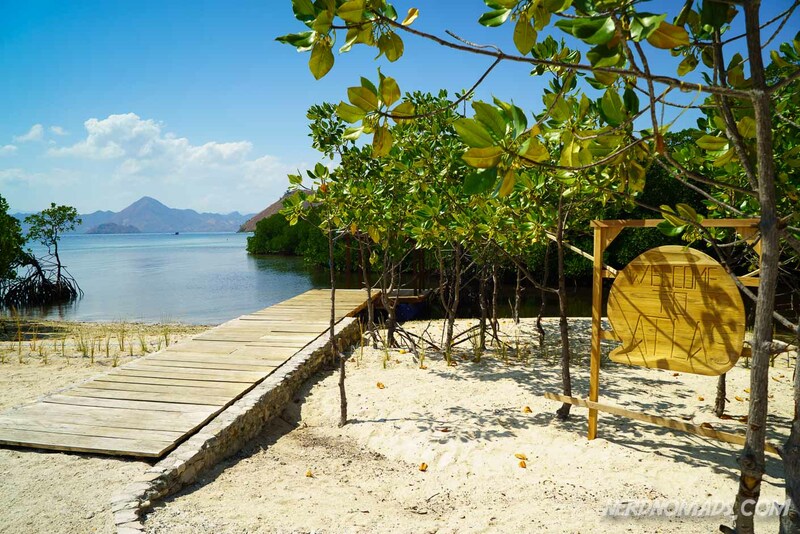 Sebayur Island – our home for three days. 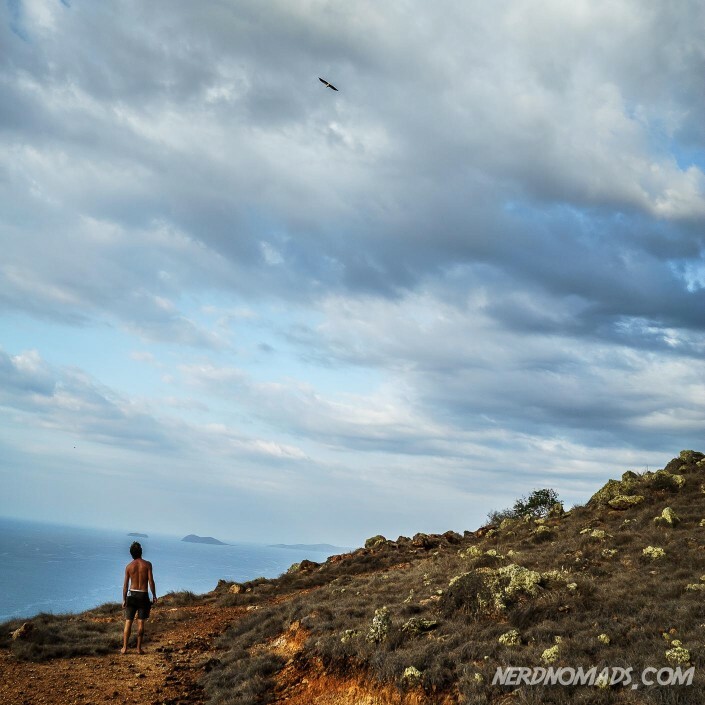 Even though we were a bit tired from all the snorkelling, we could not turn down Alex`s offer of hiking to the top of the island. Hey, we are Norwegians after all. Me and Alex at the top of the world! 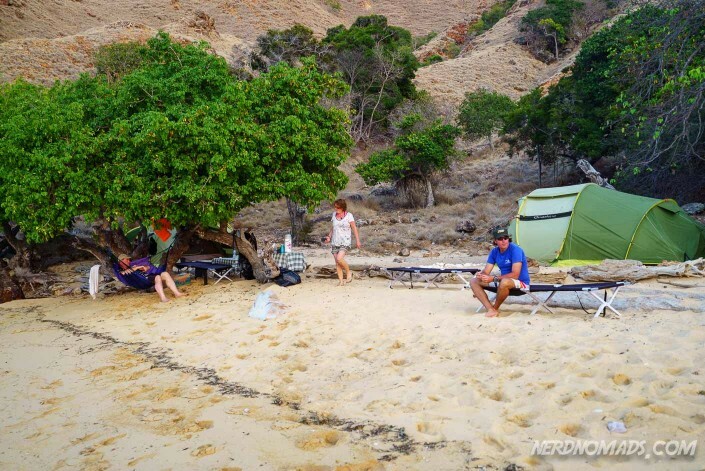 While we were out ascending the island, the crew from the boat had set up a cosy little camping site for us, with tents and all. Being used to carrying all our camping equipment ourselves and setting it all up ourselves when camping back home in Norway, we felt like kings and queens. We sure could get used to this. Our lovely camp site at Sebayu Island. 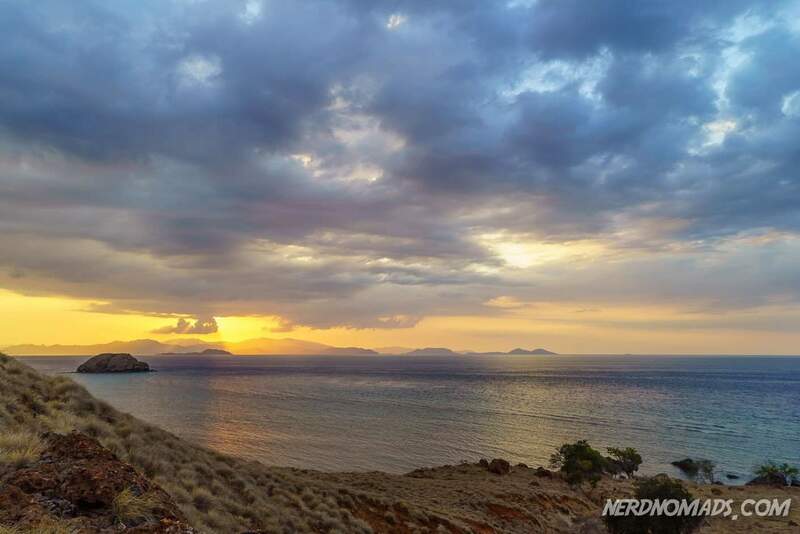 The first day of our Komodo Adventure could not have been any better – nice weather, pearls, excellent snorkelling, delicious food, mountain trip, and it was all topped off with an amazing sunset. 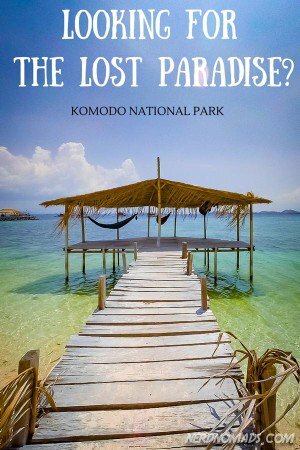 Would you like to visit Komodo National Park? 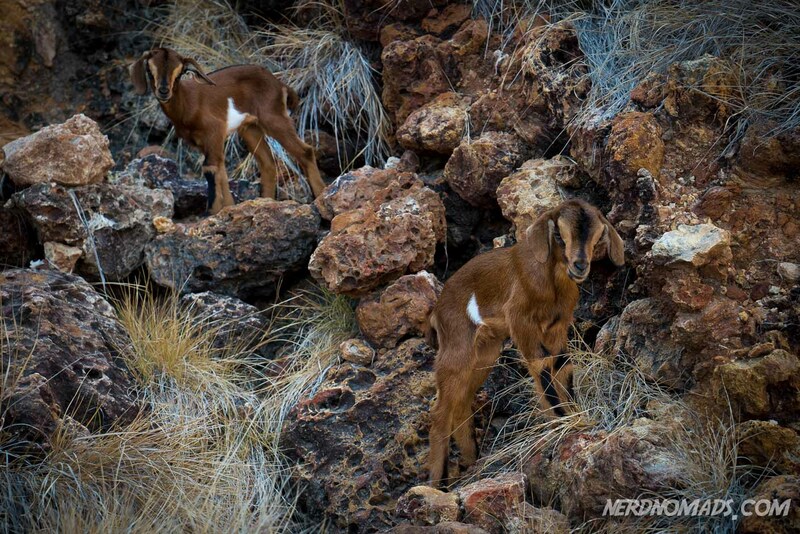 Have you been to any cool national parks? Where and how was it? Please leave a comment in the comment area below. If you enjoyed reading this post, please share on social media. Thanks! Already loving the waters around these islands. Really really looks awesome..and this is even before meeting any komodos..haha..I love that yours is just a small group, I don’t really prefer having big groups for tours but sometimes I have no choice, especially if I’m travelling alone. 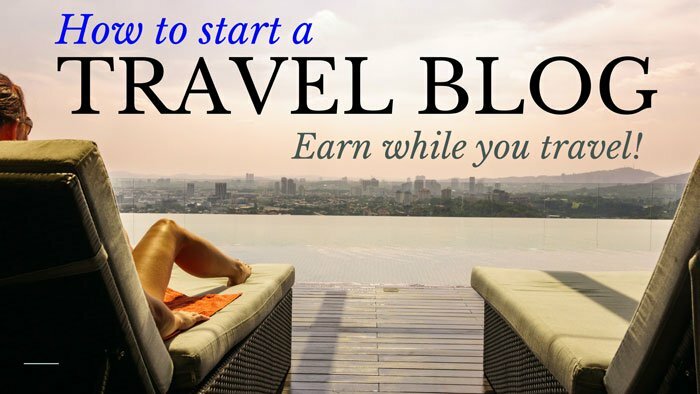 Ahh….the tough life of a travel blogger…we’ve been there, done that, got a few t-shirts, and still doing it! Tried a 9-5 life, didn’t work, not for us anyway. 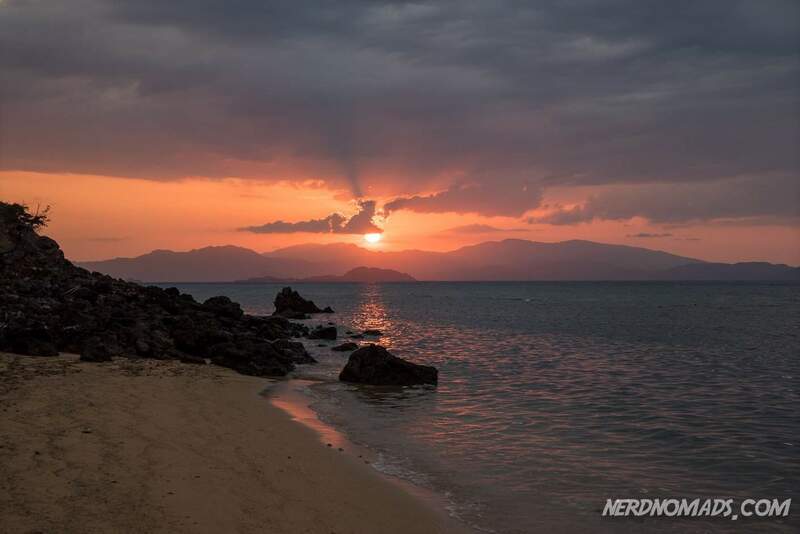 I’m not sure there is a hosting package big enough for all the stuff we still have to upload…..
Haha, yeah it’s a tough job but someone has to do it, Sean 😉 Have to say that Komodo was spectacular. A real highlight of the last years travels, and still so unspoilt and beautiful. It really energized us and made us eager to travel on, and share it all on the blog. Travel blogging sure is a tough life, Sean. 😉 We are back home right now for some 9-5 life, hate it but have to earn some money. We have a huge backlog from our travels too, constantly lots and lots to do on the blog….. Happy travels and blogging! The water is amazingly blue! How does it get to be so blue? Great travel, Maria. I know, Agness, the water in Komodo National Park is unbelievably blue and clear! It was amazing swimming with mantas and sea turtles and see them so clearly. Any tips on what we should know before we go, or what to do once we get there? Thank you for commenting! Yes, that is the webpage (it is also linked up in the blog post). We did the two days Dragon tour with FloresXP and loved it. It looks like, however, that there is a new manager of the company. Max who started FloresXP and used to be the manager was our tour guide but I see now that he is not listed under the About us on their webpage. But it looks like they have kept much of their concept though. Remember to bring sun lotion as the sun is very strong, and a hat. 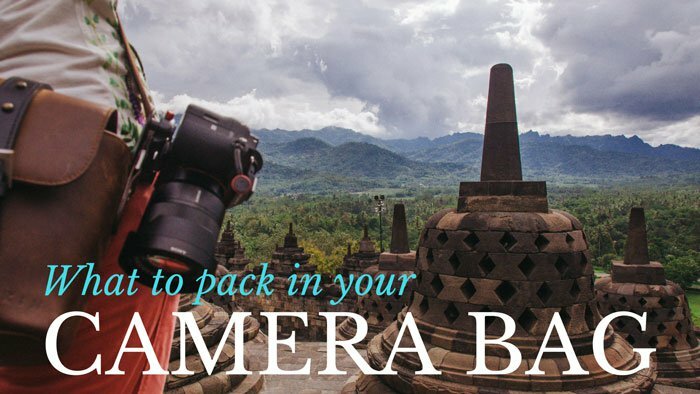 To bring your camera is the most important thing, and a plus is that you can charge your batteries on the boat. Wear good sandals or shoes, especially if you want to do some hiking like we did. Have a great trip to Flores and enjoy your trip to Komodo National Park!! The Komodo dragons are awesome! Thanks for your input! 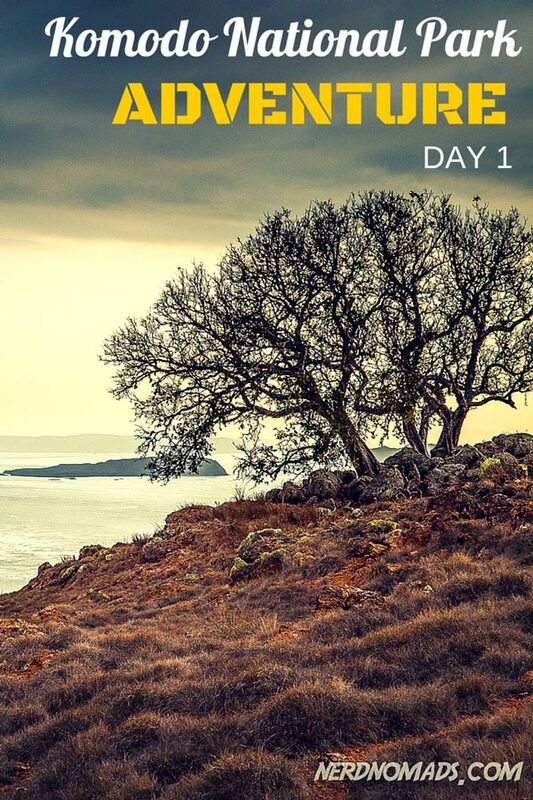 We just signed up for the 3 day Dragon tour =) Your blog post definitely helped us make that decision. Now we can’t wait to go! Thanks for this awesome post! 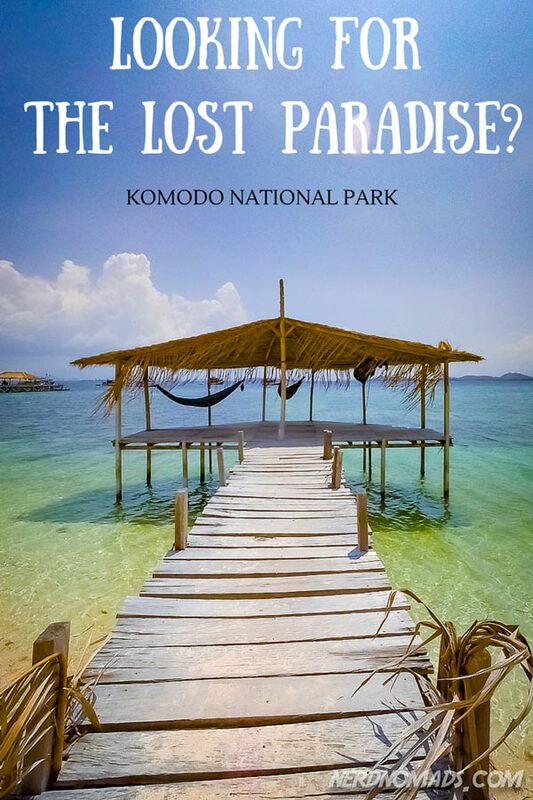 My fiance and I are trying to plan a trip with Flores xp to komodo this year. Was it difficult to sleep in the tents due to the heat? Thanks again! Thank you so much!! Yeah, I must admit that it was a bit difficult to sleep in the tent especially towards the morning when the sun started to rise and it became extremely hot in the tent. We actually ended up sleeping outside the tent most of the time (we just took the beds out of the tent and slept on the sand) under the stars. 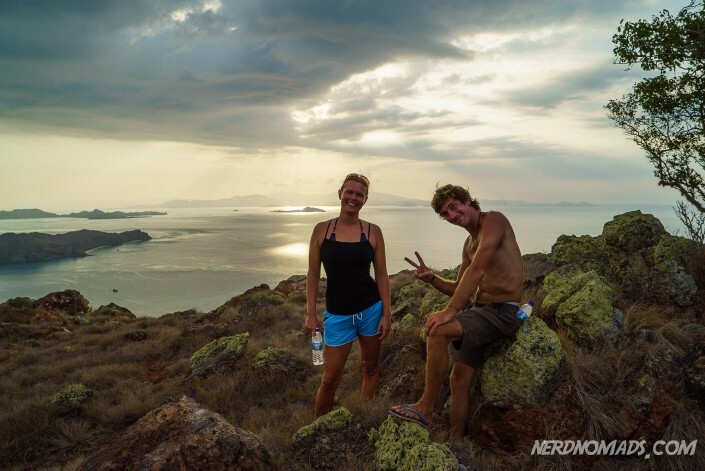 We had such an amazing trip with Flores XP, really recommend it! 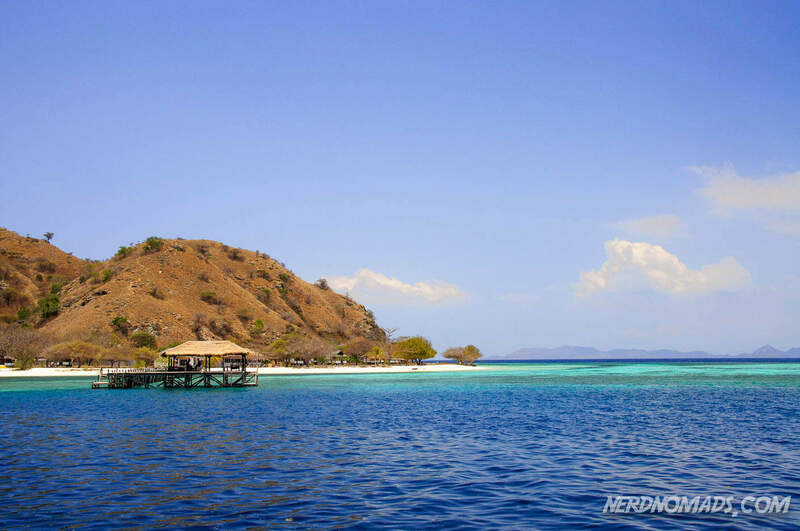 Have an awesome time in Komodo National Park, you will love it! I head there tomorrow. I think you just convinced me to do a little snorkeling while I’m there (such arm twisting). Thanks for the info! Have a great time in Komodo! 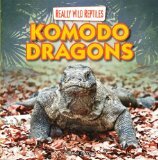 Look out for the Komodo Dragons!